The octopus is the ultimate example to remind us to love the skin we’re in! Here’s the reason why the octopus serves as the perfect reminder: its skin has incredible cells that can match its environment perfectly in color and texture for camouflage. You could be snorkeling over a reef and not even see the octopus sitting on the rock because it blends in so well. The only reason we were lucky enough to get this picture was because we saw the octopus move before it went into stealth mode! 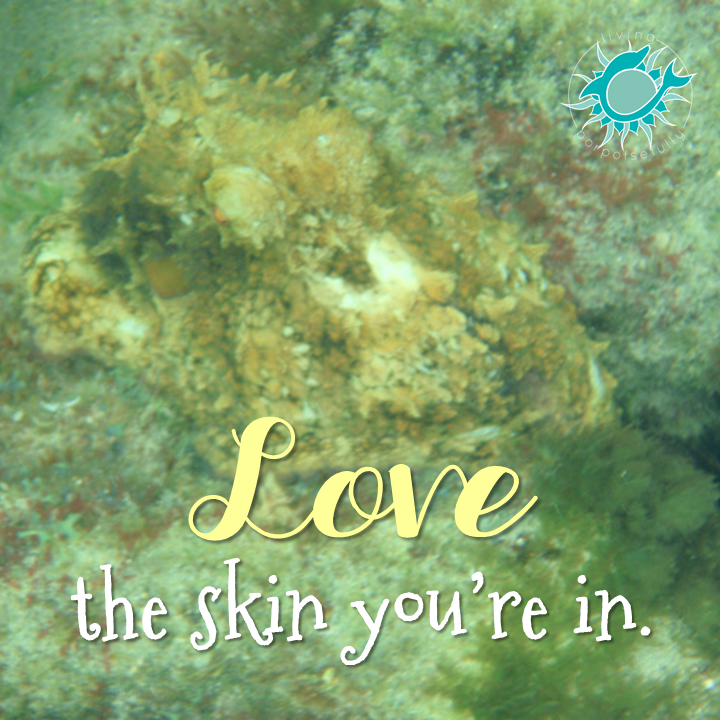 So, let’s take a lesson from the octopus and love the very own beautiful skin that you’re in today and everyday!